Harn Yawnghwe, director of Euro-Burma Office (European Office for the Development of Democracy in Myanmar), Brussels, recently spoke to the Dhaka Tribune’s Syed Zainul Abedin on the Rohingya issue and Myanmar leader Suu Kyi. He shed light on the political instability in Myanmar against the backdrop of recent developments in Rakhine. Harn is the youngest son of Sao Shwe Thaike, the first president of the Republic of the Union of Burma. Sao was the president of the union from 1948 to 1952. He was arrested in a military coup led by General Ne Win and died in prison in November, 1962. Sao Shwe Thaike and General Aung San were the architects of the 1947 Panglong Agreement, which formed the basis for the modern nation of Burma (the colonial name for Myanmar). Harn has been in exile in Canada since he was 15 years old. He was forced to leave Myanmar along with his family following the coup on March 2, 1962. Harn also served as Advisor to Dr Sein Win, prime minister of the National Coalition Government of the Union of Burma (NCGUB), which claims to be Burma’s government in exile.What is happening in the Rakhine state of Myanmar? What is happening in Rakhine State is genocide. Article 2 of the UN Convention on the Prevention and Punishment of the Crime of Genocide (1951) defines genocide as any of the following acts committed with the intent to destroy, in whole, or in part, a national, ethnic, racial or religious group, as such: (a) Killing members of the group; (b) Causing serious bodily or mental harm to members of the group; (c) Deliberately inflicting on the group conditions of life calculated to bring about its physical destruction in whole or in part; (d) Imposing measures intended to prevent births within the group; (e) Forcibly transferring children of the group to another group. All these conditions apply to the Rohingya people in Myanmar. 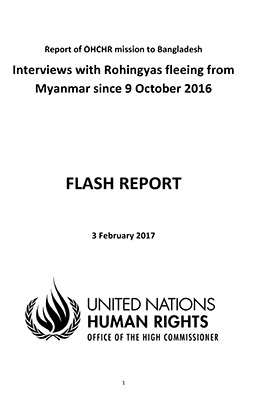 UN Secretary-General Antonio Guterres admitted as much when he said on September 13, 2017 that ethnic cleansing is taking place in Myanmar. Genocide includes ethnic cleansing. He did not use the word genocide because if he did, the UN would be legally obliged under the Genocide Convention to take action. For the UN to take action, the Security Council would have to authorise it. But Guterres knows that if he took it to the Security Council, Russia and China would veto it. That is the dilemma. You have been working on the peace process in Myanmar/Burma for a long time. What are the hurdles in the way of the peace process? First, the Myanmar military still believes that might is right. They entered into negotiations as a delaying tactic when the then President Thein Sein, a former military general himself, called for peace talks. He defined the peace talks as a political matter which under the 2008 Constitution falls under the mandate of the civilian government. Under the Suu Kyi government, the military has managed to define the peace talks as a security matter which under the constitution falls under the mandate of the military. This means the military will exert force on those who will not agree to peace on the government’s terms. If they continue to resist, they will be labeled ‘terrorists’ and the military can use full force against them – as they are doing now with the Rohingya. The Suu Kyi government does not have a plan or strategy on how to bring the peace talks back to the political arena. It also does not have experienced advisors and negotiators. In the short-term, the future of the peace talks is bleak. The best that can be done is to keep the talks going in the hope that the government will change its position. Nobody wants to go back to war. Why are the Rohingya people, from among 135 ethnic groups, being specifically targeted by the government/army of Myanmar? Myanmar Commander-in-Chief Senior-General Min Aung Hlaing said on September 1, 2017, that the ongoing clearing operations in northern Rakhine is ‘unfinished business’ from World War 2. After the war, during the division of India, some Rohingya wanted to become part of East Pakistan. There was a Mujahid insurgency which the Myanmar military put down. 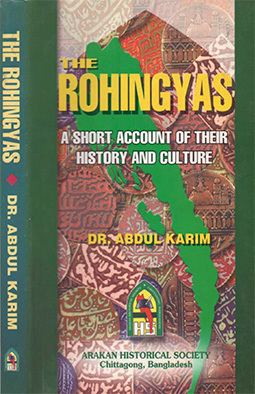 His ‘unfinished business’, though, means that the Myanmar military does not accept the outcome of the political settlement in the early 1960’s that recognised the Rohingya as citizens of Myanmar. The military also does not recognise the 1947 Constitution, which states that all people who live within the boundaries of Myanmar at independence (1948) are citizens. That is why after seizing power, General Ne Win launched an operation to drive out the Rohingya in 1978. Not satisfied with that, he also changed the Citizenship Law in 1982, making the Rohingya stateless. Another attempt was made in 1998 to drive out the Rohingya. This third and current exodus is part of the same plan to make Myanmar a homogeneous and ‘pure’ nation. It is racist. The Rohingya being Muslim makes it easier for the military to garner support from the Buddhist majority who believe that it is their duty to protect Buddhism from all external influences. How would you describe the future of democracy in Myanmar? The future of democracy in Myanmar is precarious. Everybody wrongly believed that Aung San Suu Kyi would strengthen the democratic transition and make it impossible to return to a military dictatorship. It is somewhat similar to the situation in Iran when the Shah was overthrown and the Ayatollah Khomeni came to power. He consolidated his power and imposed his own brand of authoritarian rule. The same is true in Myanmar. Democracy is not practiced within the ruling National League for Democracy. Aung San Suu Kyi makes all the decisions. Younger generation leaders are not being groomed. Internal dissent is not tolerated and opposition parties are not encouraged. The active civil society networks are shunned by the NLD and Aung San Suu Kyi. Other than the military-backed Union Solidarity Development Party, there are no viable nationwide political parties to choose from as an alternative to the NLD. Media freedom is also at risk. Is there any geopolitical issue behind the ongoing situation in Myanmar, triggering this Rohingya crisis? As mentioned before, geopolitics do play a part. Myanmar is considered to be in China’s backyard. Neither Russia nor China want Myanmar to move into the orbit of western powers. They have long seen human rights as a western tool to infiltrate into the region. But the main trigger is domestic. The Myanmar military does not want a democratically-elected government to succeed. It wants to prove that a civilian government does not have the capacity to govern Myanmar. The Rohingya crisis was re-ignited in 2012 when the Thein Sein government started making headway with its peace talks with the other ethnic minorities. The crisis became full-fledged in 2016 after the Suu Kyi government took power. When it became clear that the Suu Kyi government did not have the capacity to deal with the peace talks, the military took advantage of that weakness to carry out its plan to finally expel the Rohingya as terrorists under the cover of a democratic government. The government’s denial of any human rights abuse by the military and the refusal of Suu Kyi to allow a UN Fact-Finding Mission have all played into the hands of the military. How do you describe the communal harmony in Myanmar? Myanmar is and has always been a multi-ethnic and a multi-religious society. Different communities used to exist harmoniously in the past. Things changed after Ne Win took over. He expelled all foreigners, especially Chinese and Indians, confiscating their businesses. His agenda, like the Shah’s, was to create a modern homogeneous nation and this created problems. Each ethnic group began to look after its own interests for survival. Today people look on each other with mistrust. Fake news and rumours can trigger inter-communal violence as it did in 2012. Many people today are preaching hatred and religious bigotry. People who disagree do not dare to speak out. Fear is beginning to take hold again. How are the rest of the people in Myanmar responding to this crisis? Most would not react unless it affected them personally. This is especially true of the ethnic minorities. They do not want to draw attention to themselves by speaking out about the Rohingya. But for the majority, they believe what the government is saying – that the Rohingya are foreigners who bought their way into Myanmar; they have four wives and their population is growing rapidly; their plan is to Islamise Myanmar. Please describe the role of the state-run media in Myanmar. The state-run media has been managed by the military for over 5 decades. They are putting out the same propaganda as when the country was still under military rule. The sad part is that the private media that used to fight for human rights have also started to toe the government line – that the Rohingya are terrorists and have to be defeated to protect Myanmar’s sovereignty. You wrote an open letter criticising Suu Kyi. Could you please elaborate on that? I am concerned that she is not nurturing democracy for the time after she steps down. If we want democracy to flourish, we have to start practising it. Authoritarianism, no matter how well-intentioned, will not bring democracy. Democracy is messy and people make mistakes but without starting to practice it, we cannot expect democracy in Myanmar in the future. Where does the solution to this crisis lie? The crisis is two-fold. One is the crisis of democracy – how do we ensure that the military does not come back in the future? How can we entrench democracy in the nation? The solution lies with the people of Myanmar. They need to wake up to the crisis and start practicing democracy. It is not too late. We have until 2020, 3 years, to promote democracy. The other crisis is the Rohingya people. We do not have time. People are dying and hundreds of thousands have been displaced. The clearing operations are continuing in spite of government denials. 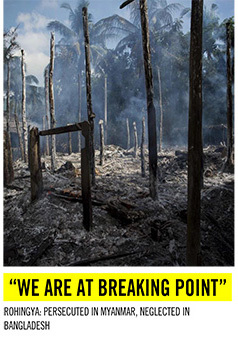 The UN, Bangladesh and other neighbouring countries need to exercise their Responsibility to Protect. If they do nothing now, the Rohingya will be driven out of Myanmar. But in the longer-term, the solution lies in treating the Rohingya as human beings created in the image of God, equal with all Myanmar citizens. This will take moral courage on the part of the Myanmar government and determined and well-thought out long-term programmes to eliminate racism, and religious bigotry from Myanmar – something like the civil rights movement in the US.